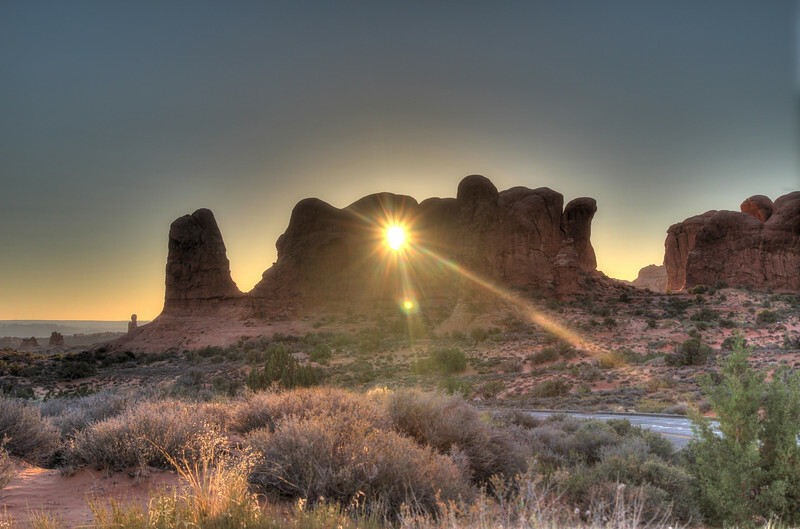 The setting sun shines through one of the arches in the formation known as Parade of Elephants. As everyone one else was rushing to get into position to take photos of Double, Windows, and Turret Arches, I walked down the road just a little to wait for the sun to align itself perfectly behind the Parade of Elephants. I never imagined I’d get a shot like this!